“Variation was notable with respect to individual paraben esters, location within one breast and similar locations in different breasts. Deodorants and antiperspirants are some of the primary sources of parabens, but the fact that even those who reportedly never used them still had parabens in their breast tissue clearly demonstrates that these chemicals, regardless of what products they’re added to, can, and apparently will, accumulate in breast tissue. It’s important to recognize that whatever you spread on your skin can be absorbed into your body and potentially cause serious damage over time, as this research demonstrates. Avoiding parabens and other harmful chemicals requires becoming an avid label reader. Beware that products boasting “all-natural” labels can still contain harmful chemicals, including parabens, so make sure to check the list of ingredients. 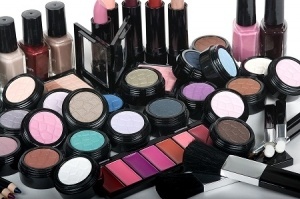 Another alternative is to make your own personal care products. In many cases it’s much easier than you might think. Michael DeJong, environmentalist and author of books on green living has a book called Clean Curesiv, which is chockfull of affordable, easy, natural remedies you can prepare at home to treat ordinary ailments with items you have in your own refrigerator and pantry. Recent research has also confirmed the existence of a previously unknown class of cancer-causing materials that can be found in thousands of consumer products. Some of them are even added to supplements and foods as “nutrients”. These estrogen-mimicking compounds are: metals. A recent study published in the journal Cancer Research indicates that women whose diets contain higher levels of cadmium are at a greater risk of developing breast cancer. Cadmium is a heavy metal long known to be carcinogenic, and, as you can see by its inclusion on the list above, it’s also been identified as a metal that can bind to estrogen receptors, effectively mimicking the female hormone estrogen. The study found that among close to 56,000 women, those with the highest intakes of cadmium were 21 percent more likely to develop breast cancervii . “The study offers new evidence in a large human population that environmental chemicals that mimic the effects of the female hormone estrogen may contribute to women’s risk of certain cancers, including endometrial and breast cancers…. The finding comes just three months after the Institute of Medicine, a prestigious body of independent biomedical researchers, concluded that a host of other factors — most within a woman’s power to control, such as obesity and hormone-replacement medication — were the most important sources of breast cancer risk. The report they’re referring to is Breast Cancer and the Environment: A Life Course Approach by the Institute of Medicine (IOM)ix issued in December of last year, which discusses environmental impacts on breast cancer risk. Mammograms expose a woman’s body to radiation that can be 1,000 times greater than that from a chest x-ray, which increases the risk of cancer. Mammography also compresses breasts tightly (and often painfully), which could lead to a lethal spread of cancerous cells, should they exist. Yet despite all the evidence against the routine use of it, mammography has remained the number one recommended “prevention” strategy for all women over the age of 40. Alarmingly, there’s evidence indicating the U.S. Food and Drug Administration (FDA) has been negligent (to put it mildly) in their approval of a number of cancer-detecting devices. It recently became known that whistleblowers  within the agency had been secretly monitored for two years; all of whom worked in the office responsible for reviewing medical devices, including cancer screening devices. The monitored employees had warned Congress that the agency was approving medical devices that posed unacceptable risks to patients. Jeffrey Shuren, director of the FDA’s Center for Devices and Radiological Health has repeatedly tried to take action against the employees, claiming they had disclosed information that undermined the integrity and mission of the FDA. Shuren is also the official who oversees mercury dental fillings, which they have been fraudulently referring to as ‘silver fillings.’ Shuren promised to make an announcement about dental amalgam by the end of 2011, but just before the end of the work year, the agency conceded that no announcement was forthcoming – not in 2011, and maybe not at all. The US Preventative Task Force revised its recommendations on mammograms in October 2009,xiii stating that women in their 40’s should no longer get routine mammograms for early detection of breast cancer. Instead, the panel recommended waiting until the age of 50, and only doing one mammogram every other year rather than annually. The Canadian task force followed suit in November last year. 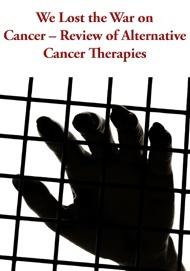 There’s a wide variety of prevention and treatment strategies that appear to be both safer and more effective than conventional strategies like mammograms and the “cut-poison-burn” model of cancer treatment… To learn more, please review the related articles listed below. 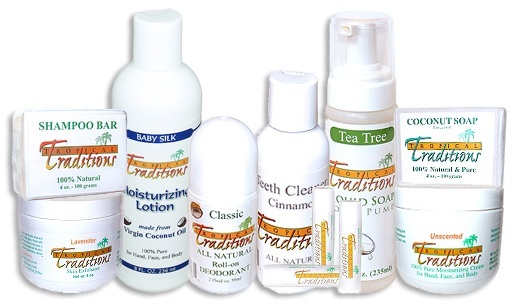 Virgin Coconut Oil non-toxic Skin Care !